Gitea signs all binaries with a GPG key to prevent against unwanted modification of binaries. To validate the binary, download the signature file which ends in .asc for the binary you downloaded and use the gpg command line tool. After getting a binary, it can be tested with ./gitea web or moved to a permanent location. When launched manually, Gitea can be killed using Ctrl+C. NOTE: Many of the following directories can be configured using Environment Variables as well! Of note, configuring GITEA_WORK_DIR will tell Gitea where to base its working directory, as well as ease installation. Check that Git is installed on the server. If it is not, install it first. If you don’t want the web installer to be able to write the config file at all, it is also possible to make the config file read-only for the gitea user (owner/group root:root, mode 0660), and set INSTALL_LOCK = true. In that case all database configuration details must be set beforehand in the config file, as well as the SECRET_KEY and INTERNAL_TOKEN values. See the command line documentation for information on using gitea generate secret INTERNAL_TOKEN. NOTE: If you plan on running Gitea as a Linux service, you can skip this step as the service file allows you to set WorkingDirectory. Otherwise, consider setting this environment variable (semi-)permanently so that Gitea consistently uses the correct working directory. You can update to a new version of Gitea by stopping Gitea, replacing the binary at /usr/local/bin/gitea and restarting the instance. The binary file name should not be changed during the update to avoid problems in existing repositories. It is recommended you do a backup before updating your installation. If you have carried out the installation steps as described above, the binary should have the generic name gitea. Do not change this, i.e. to include the version number. See below for troubleshooting instructions to repair broken repositories after an update of your Gitea version. Older Linux distributions (such as Debian 7 and CentOS 6) may not be able to load the Gitea binary, usually producing an error such as ./gitea: /lib/x86_64-linux-gnu/libc.so.6: version `GLIBC\_2.14' not found (required by ./gitea). This is due to the integrated SQLite support in the binaries provided by dl.gitea.io. In this situation, it is usually possible to install from source without sqlite support. For errors like 702 runWeb()] [E] Failed to start server: listen tcp 0.0.0.0:3000: bind: address already in use Gitea needs to be started on another free port. This is possible using ./gitea web -p $PORT. It’s possible another instance of Gitea is already running. 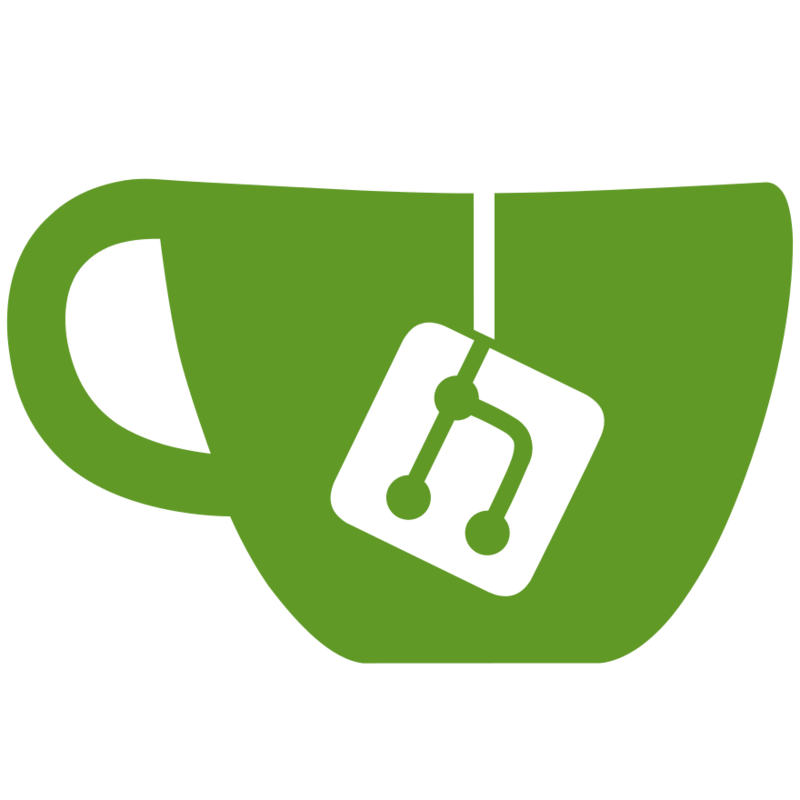 If the binary file name has been changed during the update to a new version of Gitea, git hooks in existing repositories will not work any more. In that case, a git error will be displayed when pushing to the repository. The [...] part of the error message will contain the path to your previous Gitea binary. To solve this, go to the admin options and run the task Resynchronize pre-receive, update and post-receive hooks of all repositories to update all hooks to contain the new binary path. Please note that this overwrite all git hooks including ones with customizations made. If you aren’t using the built-in to Gitea SSH server you will also need to re-write the authorized key file by running the Update the '.ssh/authorized_keys' file with Gitea SSH keys. task in the admin options. Copyright © 2019 The Gitea Authors. All rights reserved. Made with and Hugo. Sponsored by INBlockchain, Packet, DigitalOcean, and all of our backers on Open Collective.